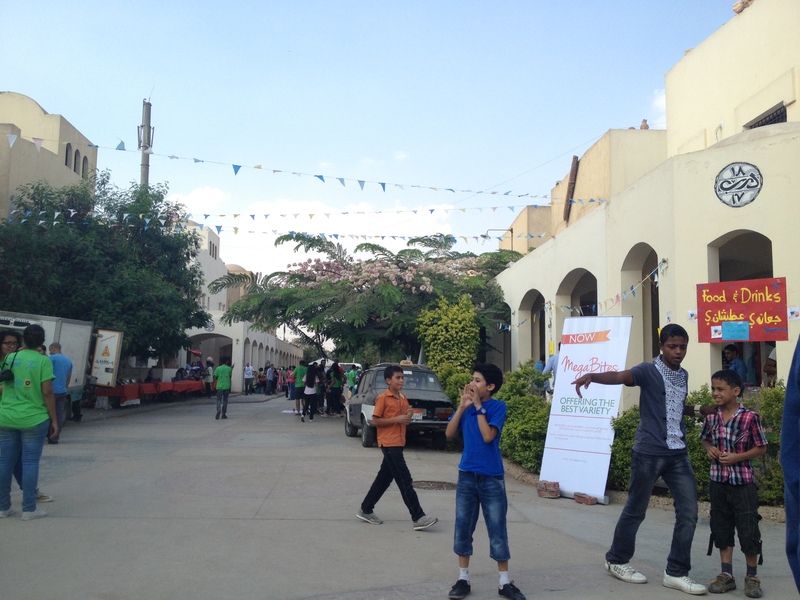 After this week of dangerously divisive us-them dialogue, as well as the brilliant #MuslimRage Tweeting, I could not think of a better way to celebrate International Peace Day than by attending a #PeaceOneDay festival at Darb 1718 contemporary arts center in Cairo. Culture as a gathering place, a common ground, offline. 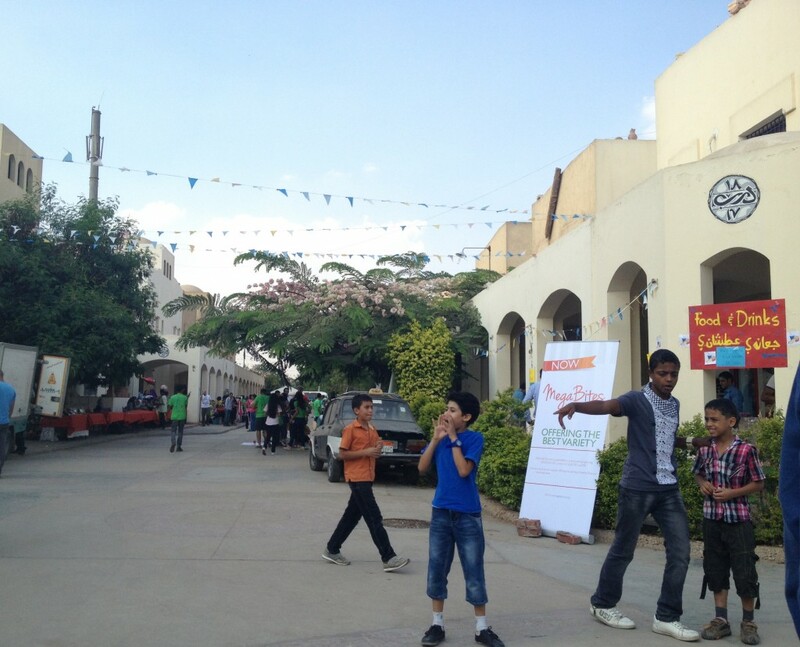 The event included a packed children’s concert, contemporary jewelry designers, traditional pottery artists, local culinary treats, popular bands playing into the night, NGO booths, and an exhibition of children’s scribbles and artworks. My culture fix continued after the festival as I had tickets to Aida, conducted by Nayer Nagui. 3rd Row Center for a beloved classic at the exquisite Cairo Opera House inside the National Cultural Centre. In the same spot where Verdi premiered this masterpiece on the 24th of December, 1871. 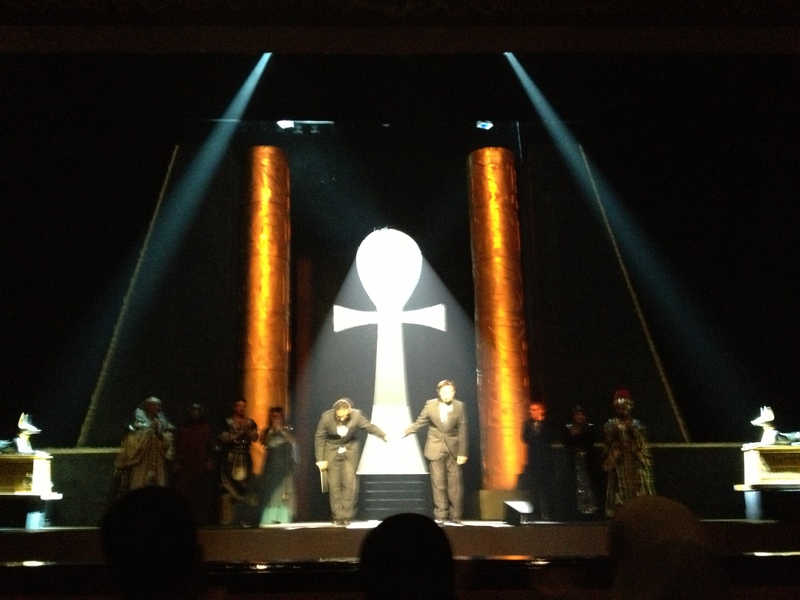 Seeing Aida in Egypt. Surreal. The singing in French, the supertitle translations in Arabic, and strong Egyptian themes commissioned during the time of the Suez Canal project. The program book had English starting on one cover, Arabic starting on the other. I was struck by how beautiful it was when those two sides met in the center fold. I was also reminded that there wouldn’t be any pages listing sponsors. 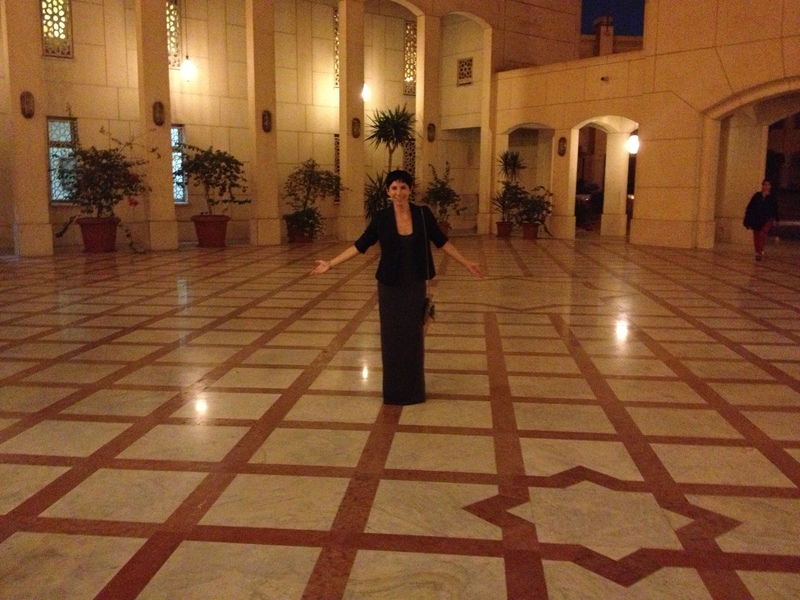 No logos or patrons but for one, the Egyptian Ministry of Culture. The opera ran 3 1/2 hours and was well performed and quite traditional. Costumes and movements for the Ethiopian characters verged on racist: afro wigs, darker face makeup, and animal print. I am not opera-saavy enough to know if this is common; all the productions of Aida I am familiar are more modern in their approach, using abstractions to show differences in race. So what I saw on stage made me wince. But I was honored to be there seeing Aida in Egypt, to see how intergenerational the crowd was, to hear their familiarity with the opera and graceful applause right on cue, to hear the powerful voices and technically strong dancing. To see the students and children onstage with the professionals. Aida is performed in Cairo as often as we in Chicago are offered the Nutcracker. 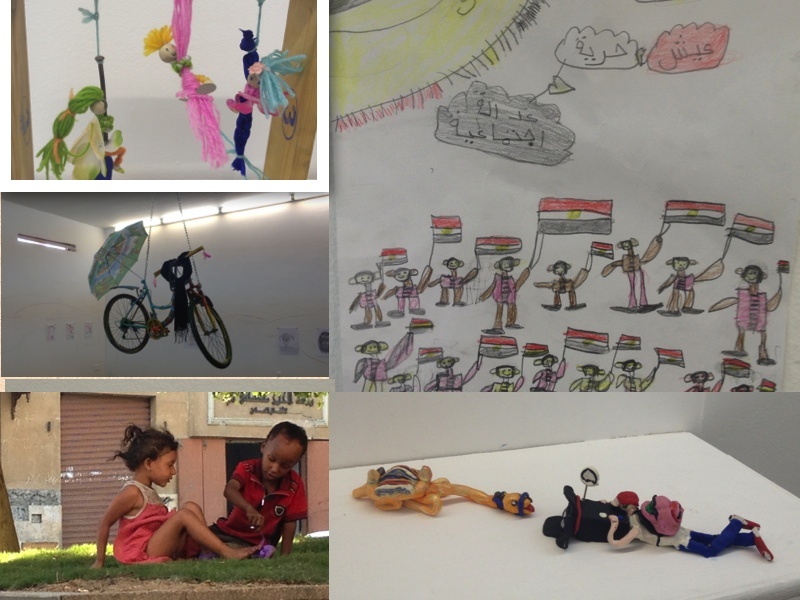 Aida is an Egyptian source of pride. As a great conclusion to my weekend culture fix, I took a walking tour today. 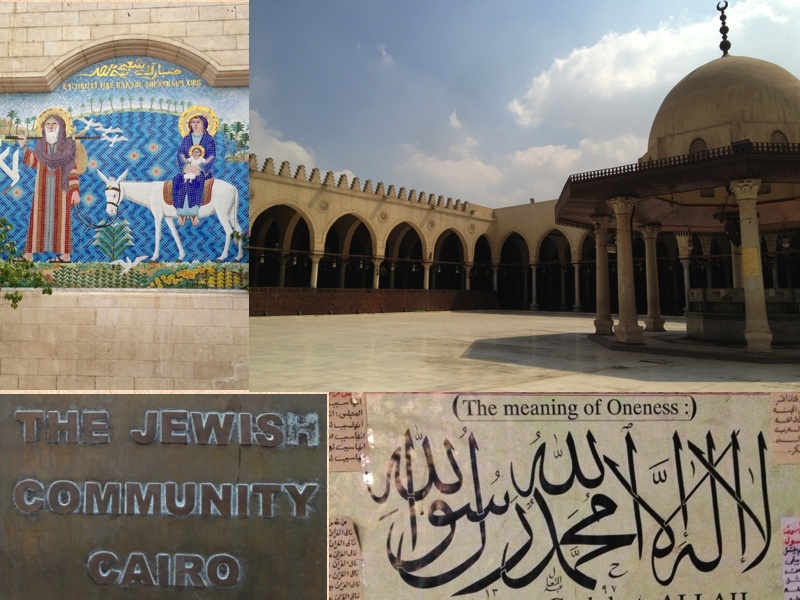 The cultures of Cairo are very much intertwined with its religious traditions, primarily those of the three Abrahamic faiths. A history so historic it is difficult for an American to fathom. Cairo is where the Holy Family (Joseph, Mary, and Baby Jesus) sought refuge for years at the end of their journey into Egypt, where a Coptic church now stands. Egyptians created the Coptic denomination as a defined split from Greek Orthodox; the former putting emphasis on Christ’s divinity rather than His divinity/humanity. The artistic aesthetic is an expression of this. Eyes and mouths of the icons are exaggerated. The feel is more two-dimensional, beautifully open and direct. Cairo is also where young and old pray in enormous mosques where not a single icon can be found. A place where today I saw the peace of Islam in the gaze of a woman peering out from her niqab, the stride of a gal who just finished her prayers in her jeggings, the open ear of a teen man wanting to know more about agnosticism, and the free sprint of a young boy and girl let loose to play in the mosque. But I wonder, is it all just lip service? Peace from the neck up? I’m thinking we need to get all this cultural, racial and religious harmony in our full bodies. Peace may be in the air, but we need it in our bones, and in our ballets.